“This is the contribution that you shall receive from them: gold, silver, and bronze, blue and purple and scarlet yarns and fine twined linen, goats’ hair, tanned rams’ skins, goatskins, acacia wood…” (Ex. 25:3–5). Mankind has long admired jewels for their beauty and value. Diamonds have been made into engagement rings, and the hearts of many young ladies are set aflutter when their suitor gives them a lovely gem. Gold continues to be the primary metal of choice for those who want to adorn architecture or fashion exquisite jewelry. We also appreciate beauty in other areas like music and painting. This is not surprising, since we are made in the image of God (Gen. 1:27), and He loves beauty and has made everything beautiful in its time (Eccl. 3:11). In fact, God desires loveliness so much that among the very first people to be set apart by the Spirit after the exodus were the craftsmen and artisans who built the tabernacle (Ex. 35:30–35). This aspect of the Lord’s character has largely been forgotten in today’s evangelical church. Like philosophy, Dr. R.C. Sproul says that the Christian life is a stool with three legs: ethics, epistemology, and aesthetics, or, the study of the good, the true, and the beautiful. Professing Christians generally focus upon one of these at the expense of the others. As Christians in the Reformed tradition we can criticize ourselves for sometimes being preoccupied with correct doctrine in a way that is not equally focused on applying this doctrine in our ethics and aesthetics. Other traditions focus on morals at the expense of doctrine and beauty. Still, if there is any one area that most Protestants neglect altogether, it would have to be aesthetics. During the Reformation there was a strong impetus towards iconoclasm (the removal of all artwork from the sanctuary) because of the abuses of the medieval church. This legacy is alive today; many ignore architectural loveliness and ornamentation when building churches, and just as many do not see visual artistry as a Christian calling. This is unfortunate, because, as today’s passage teaches, God asked for beautiful things for the construction of a beautiful temple (Ex. 25:1–9). Though we do not build a tabernacle today as old covenant Israel did, it does not follow that the Lord no longer appreciates visual beauty. The Lord is unchanging (Mal. 3:6; Heb. 13:8) and still looks for the beautiful in new covenant worship. 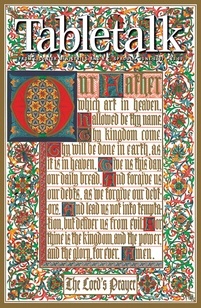 Christians often argue about the propriety of artwork in the sanctuary. Whether or not visual images are used in our houses of worship, we can all agree that plainness can be elegant in some ways just as many works of art can be lovely to gaze upon. Consider today how important you consider beauty in worship. Go out today and take a look at the beauty of creation and use it as a reminder of the loveliness of the Lord our God.